A pond in the Japanese Garden provides a sense of serenity. Butchart Gardens, British Columbia, Canada. Keywords: pond lillies peace Japanese Garden serenity Butchart Gardens Victoria BC British Columbia Canada. 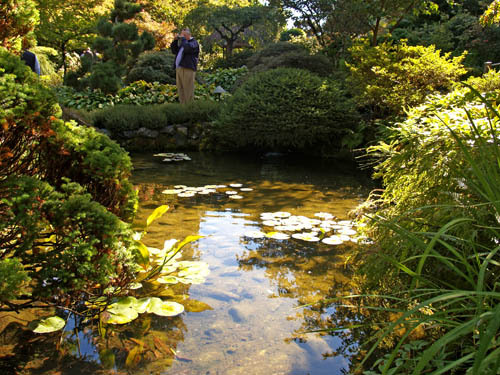 IPTC Keywords: pond lillies peace Japanese Garden serenity Butchart Gardens Victoria BC British Columbia Canada.